Little Painter, a Farsi language children’s programme for 4- to 10-year-olds, is set to premiere on SAT-7 PARS this summer. 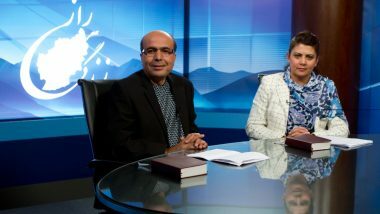 The new show contributes to the team’s goal of launching a 24-hour internet children’s channel in Farsi. Presenter Arezoo, a Christian whose name means “wish” in Farsi, will inspire young viewers to creativity through her gifts of painting and storytelling. Their eyes will light up when they see the oversized coloured pencils and painting tools on the set. Arezoo invites them to grab a brush and follow along as she paints scenes from the Bible. She uses watercolour, oil and acrylic colours, coloured pencils and chalk on paper and canvas. The 20 new episodes, lasting 15 to 20 minutes, each teach a different story from the Bible. Children will learn about Adam and Eve, Jesus feeding the 5,000 and the parable of two houses built on the rock and sand, among other stories. The Farsi speaking nations of the Middle East are beset by high rates of poverty, drug addiction and other social ills. In this environment, Little Painter offers small children the chance to enjoy childhood and learn the love of Jesus in a wonderland of creativity and self-expression. 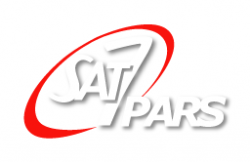 Just recently, a woman living near Tehran told SAT-7, “I am very thankful of your prayers for us. 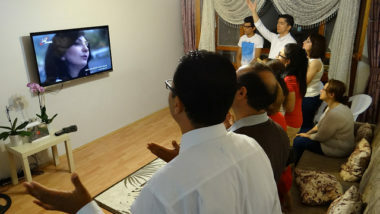 Ever since you have been praying for us, we have sensed a new strength within us, which has made our faith stronger.” The hope of viewers like her gives us confidence that God will move in the hearts of Iranians to fulfil His plan for their lives. Your support for this and similar programmes will help raise up a generation of godly Farsi speaking children to become leaders in their societies.